This weekend marks 10 years since a horrific crime shocked a suburban Connecticut town. In the middle of the night on July 23, 2007, two men broke into a house in Cheshire, killing Jennifer Hawke-Petit and her two daughters and setting the house on fire. Only the victims' husband and father, Dr. William Petit Jr., escaped alive. That July day was "the single worst day I've ever had in 40 years of municipal government," Michael Malone, who was Cheshire town manager then and still is today, told ABC News Thursday. "I can still vividly remember that day. It was horrible. It was surreal. I felt like I was sleepwalking." The tragedy in Cheshire began when one of the killers targeted Hawke-Petit, 48, who had multiple sclerosis, and her youngest daughter, 11-year-old Michaela, at the grocery store. He followed the pair home unbeknownst to them and later returned to the house at night with a second man to break in, according to testimony. 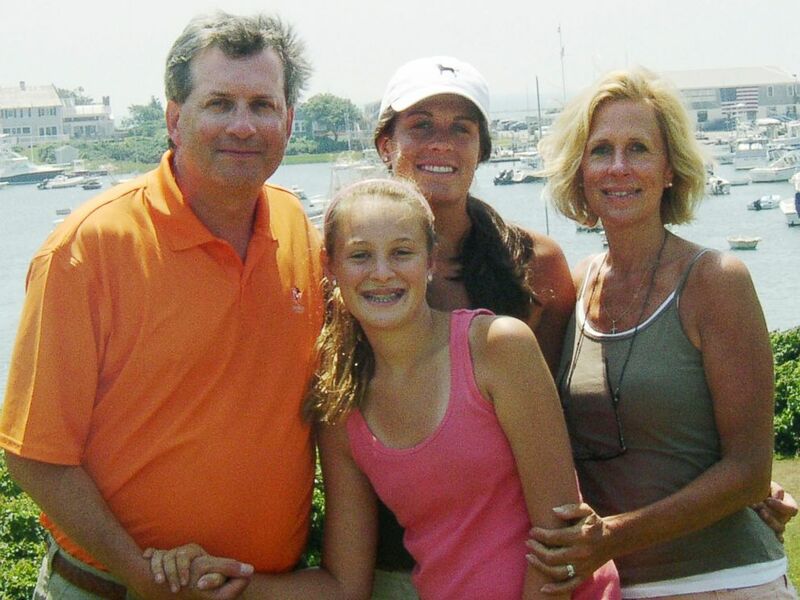 Dr. William Petit Jr. poses for a picture with his daughters Michaela, front, and Hayley, back, and wife Jennifer Hawke-Petit on Cape Cod, Mass., June 2007. Dr. Petit was asleep in the sun room when the attackers smashed his head with a baseball bat and then tied him up in the basement. The attackers next bound Michaela and her 17-year-old sister, Hayley, to their beds, and in the morning, one of the intruders drove Hawke-Petit to a bank to withdraw money. Hawke-Petit and the intruder then returned to the home, where the mother and her 11-year-old daughter were sexually assaulted. Hawke-Petit was strangled to death, according to testimony. The attackers, Joshua Komisarjevsky and Steven Hayes, doused the home in gasoline and fled, The Associated Press reported. Hayley and Michaela died of smoke inhalation, according to testimony. Petit, still bound in the basement, managed to free his hands, and hop up the stairs and out the front door, according to testimony. "My heart felt like it was beating 200 beats per minute," he later testified at Hayes' 2011 trial, "like it was going to explode out of my chest." Somehow, he said, he crawled, then rolled to a neighbor's house. Doctors said later Petit had lost as much as seven pints of blood. He said his neighbor didn't even recognize him at first because he was so bloody. Police surrounded the area, but Komisarjevsky and Hayes were still able to flee the scene. The men were caught on the street. In the aftermath, authorities faced criticism for not rushing into the house during the ordeal, but "police did what they were trained to do," Malone told ABC News Thursday. A police captain said at trial that standard procedure was followed. "Still to this day some people blame us, blame the police," he said, "and they do it in a very hateful way ... with profanity-laced hate email." 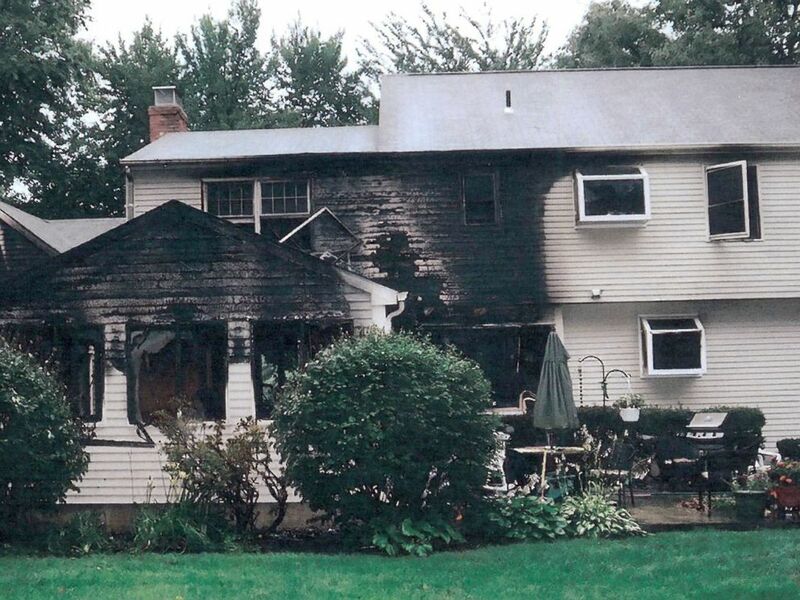 This July 2007 police photo provided by the Connecticut Judicial Branch as evidence and presented in the Joshua Komisarjevsky trial shows a fire-damaged portion of the William Petit home in Cheshire, Conn.
Now, 10 years later, the town of Cheshire has "really fully recovered and put this behind them," Malone said. "But [the town] has never forgotten it because as a result of this tragedy, a couple of pretty significant charitable organizations have sprung up." One of those organizations is Cheshire’s Lights of Hope, started by Cheshire resident Jenifer Walsh and her husband. Walsh told ABC News earlier this week that after the tragedy "people in the town were so devastated by it and everybody wanted to help," so she and her husband hoped to bring the town together. 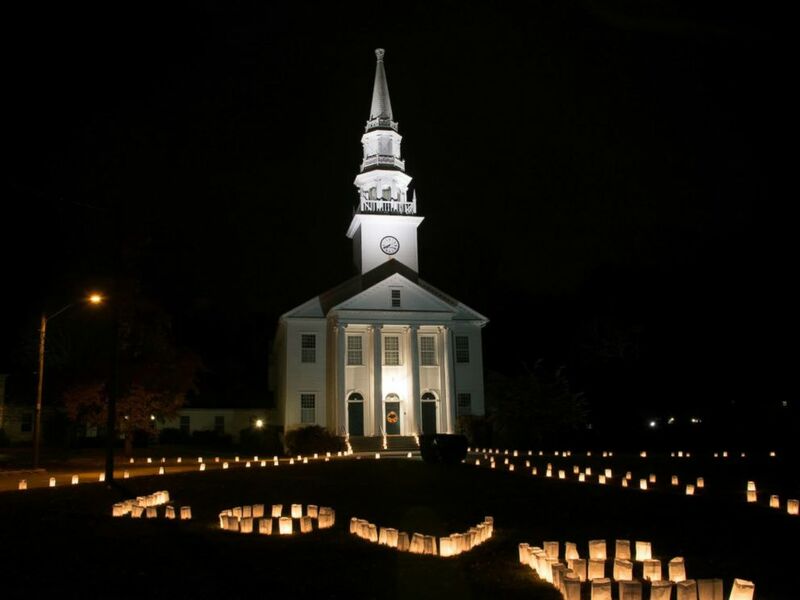 Walsh said the purpose of Cheshire’s Lights of Hope, which hosts an annual event that places luminaries on each street in town, is to bring people together so neighbors know each other. "The neighbors of the Petits didn't know this was going in the middle of the night on their street," she said. "Half the time everyone is so busy in their own little world ... you just wave to your neighbors, you don't even know your neighbors." Each of the town's streets participates in the event every year, lining the roads with lights, Walsh said. 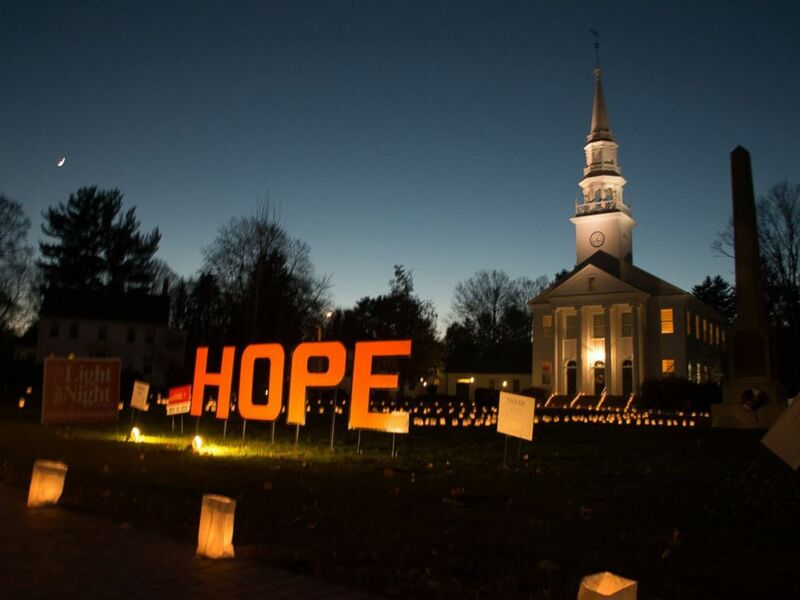 Luminaries set up by the Cheshire's Lights of Hope organization in Cheshire, Conn., are seen in an undated handout photo. Malone said the sight of the luminaries is "incredible" and called them a "reminder of hope and the message that Dr. Petit had presented when we had a memorial service for his family." According to the Hartford Courant, Petit said at an emotional memorial days after the killings, "Help a neighbor. Fight for a cause. ... Love your family." Malone said Cheshire’s Lights of Hope truly has fought for a cause as Petit wanted by providing "financial support for so many nonprofits in this town, many in the name of the Petits." The first year after the tragedy, Cheshire’s Lights of Hope raised money to help the Petit family, but the organization has since become a nonprofit, turning its focus away from the crime and toward the needs of the town, Walsh said. The organization donates to town needs including social services, the food pantry and scholarships, Walsh said, with some money still going to the Petit family. "Some people think we do it every year because it's for the Petits ... but it's not really about that anymore," Walsh said. "It's focusing back on the whole town, which is what Dr. Petit wanted." Komisarjevsky and Hayes were convicted in the killings and are serving life in prison, the AP reported. Outside the courthouse after Hayes' guilty verdict in 2011, Petit said of his decision to attend court throughout the trial, "if your family was destroyed by evil I think that you would all try to do the same thing and be there for your family. It's the one thing that you can do." "There is some relief," Petit said of the guilty verdict, "but my family is still gone. It doesn't bring them back. It doesn't bring back the home that we had." 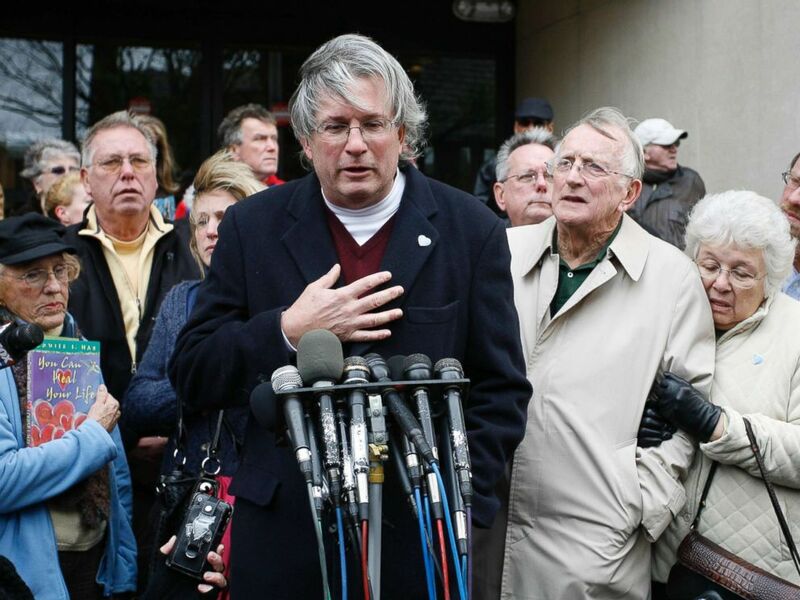 Dr. William A. Petit Jr., center, surrounded by members of the the Petit and Hawke family, reacts to the sentence given to Steven Hayes, not pictured, following jury deliberations Monday, Nov. 8, 2010, at the New Haven, Conn., County Courthouse. "We did our best to keep our faith in God that justice would be served," he added. After the tragedy Dr. Petit re-married, and he now has a son with his wife, Christine Petit, whom he met while she was volunteering for his charity, the Petit Family Foundation. The organization aims to "raise and distribute funds to fulfill our mission to help educate young people especially those with interests in science, to help support those with chronic illnesses, and to help protect those affected by violence," according to its website. Last year, Dr. Petit was elected to the Connecticut House of Representatives. The Petits declined to comment for this report. Malone said Dr. Petit has "been an inspiration to the community. And so I think that, combined with the Lights of Hope and also The Petit [Family] Foundation, [are ways for] people to remember, to move on also in their own way, to try to help some organizations that Dr. Petit feels is in keeping with the spirit that he tried to create when he gave his speech." Malone said these organizations "really helped the people of the community move behind this. It certainly created a tighter community. And it's also a reminder to people just how horrible this senseless tragedy was and what he had to go through and what his family went through. Because sometimes we all get caught up in how it affected us and it's important to stop and remember that they are the ones that suffered the loss and the tragedy. And we have to remember them." Malone said, "While the town has moved on, every year we do take time out," either around the July anniversary or the holidays, as "a way to remind the community of this really sad event and to remind everyone of the sense of hope that Dr. Petit inspired in everyone when he spoke at the memorial service."